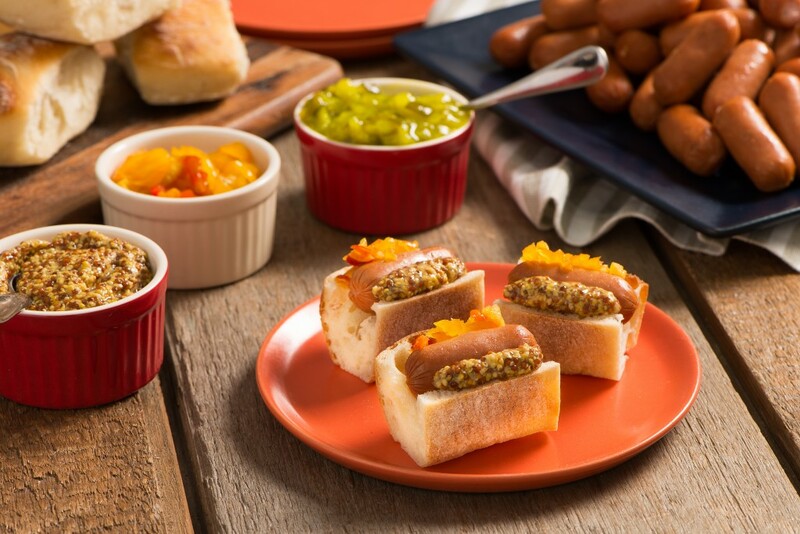 Creole mustard and sweet pepper relish give unique, spicy flavor to Carolina Pride Cocktail Smokies. Heat oven to warm rolls as directed on package. Meanwhile, in a 12” skillet, heat oil over medium heat. Cook sausages in oil 5 minutes, turning occasionally, until lightly browned and heated through. Cut slit in top of each roll. Place 1 sausage in each roll; top with 1/2 teaspoon each of mustard and relish.